The Healthy Hair shampoo bars are conditioning and gentle in a solid bar form and clean hair naturally. Super rich with loads of fluffy lather, natural ingredients gently clean without stripping away natural protective oils. 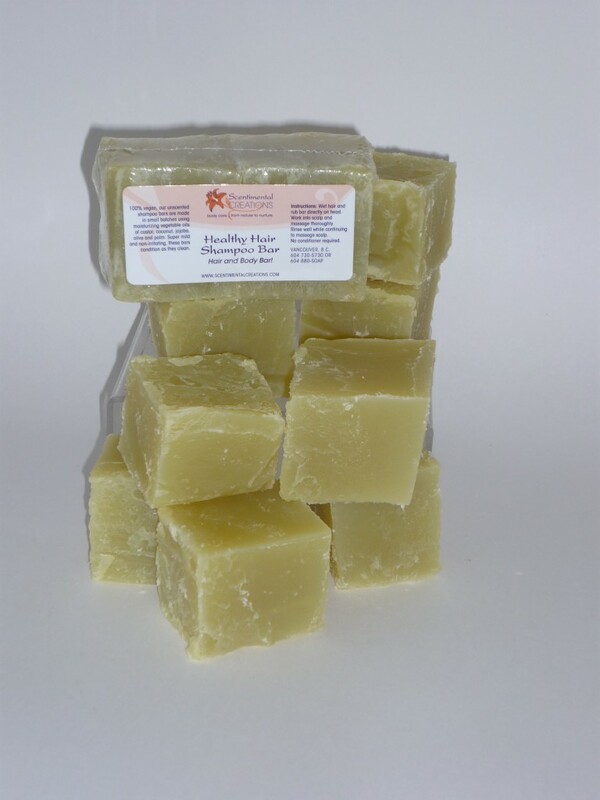 Our shampoo bars contain moisturizing oils and butters. Excellent to use on delicate baby skin, as they contain no essential oils. Bars can be liquified to produce hand soap, dish soap and herbal shampoo (see shampoo kit).